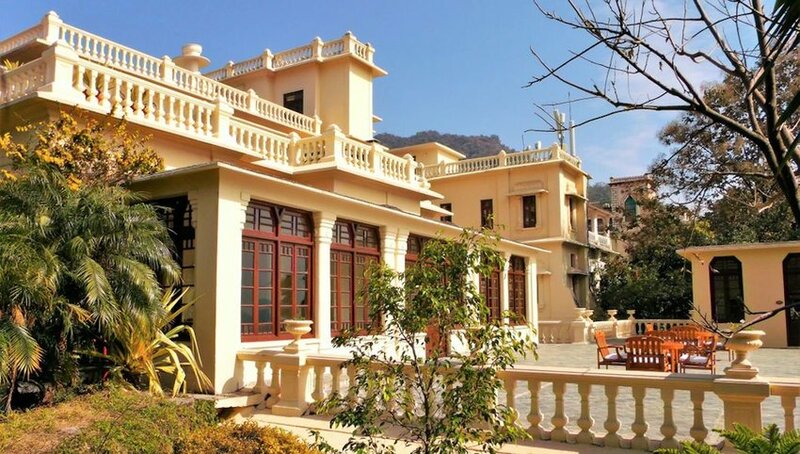 Situated on a Maharaja’s Palace Estate surrounded by Sal forests and overlooking the spiritual town of Rishikesh and the Ganges River, this retreat's location alone is enough to replenish your soul. Ananda offers so much more than its enchanting surroundings. The founders are dedicated to redefining lifestyles through traditional Indian wellness regimes expertly entwined with the latest wellness experiences. Believing that what we eat is a huge part of our wellbeing, the concept of traditional Ayurvedic food has been adapted to suit international cuisines. Every inch of the retreat radiates its holistic approach and with 24 treatment rooms offering everything from yoga to whole body therapy, and a temperature-controlled outdoor lap pool on offer, you’ll soon restore your life’s balance. HAPPY EARTH DAY! 🌎🌿 Q of the Day: Where on earth do you feel most connected to nature? The spa at Waldhaus Flims was opened back in 1869 and those years of experience certainly shine through today. Although still cloaked in a skyscraper woodland, it has certainly gone through a few changes since its opening. The $40 million refurb in 2016 has created a hotel that reflects its heritage with Belle Epoque rooms worthy of royalty. The spa is a piece of art in itself, arranged across a series of stone and Perspex cubes. The combination of quartz, water and fresh mountain air is enough to wash anyone’s troubles away. Test your temperature-threshold by diving into the spa's ice-hole, then warming up in the earth sauna. To truly feel in tune with nature, soak in the outdoor bathing pool filled with mountain spring water. If you want to completely overhaul your lifestyle then the Aro Hā Wellness Retreat, overlooking the expanse of Lake Wakatipu, is the place to do it. A sanctuary for those inspired by nature, adventure and self-development, everything about the resort is as epic as its setting. The rooms are inspired by Zen principles — think minimal furnishings, natural lighting and recycled timbers — and every space has been designed to encourage communal living. The retreat believes that health is built from the inside out and culinary offerings are all enzyme-active, paleo-friendly and rich in quality probiotics while managing to be pretty tasty too. You can try your hand at alpine hiking, vinyasa yoga and dynamic body movement as well as focusing on mindfulness and inner peace. Get your life back on track and make some new lifelong friends to share it with. Just because you’ve resolved to be a better you doesn’t mean you have to give up all your vices. Perched on a hill overlooking the vine-covered hills of one of the world’s oldest wine regions, Six Senses Douro Valley merges speciality spa treatments with wondrous wine workshops. The hotel has its own interactive Wine Library where the resort’s sommelier will guide you through the area’s leading vintages. Sleep off all the vino in modern rooms with breathtaking views and then reclaim your inner balance at the spa. Portuguese traditions focus on water, stone and wood and professionals in everything from acupuncture to aerial yoga will distract you from the vines for enough time to restore yourself.